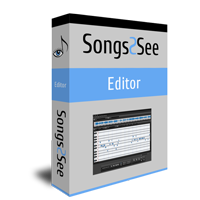 The Songs2See Editor includes advanced algorithms that allow you to turn your favorite audio files into sheet music. Starting from audio files in any of the supported formats, you can easily modify the notes found by the automatic transcription. 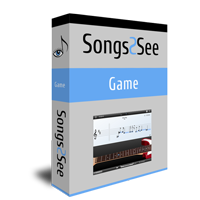 The Songs2See Game is the ideal practice companion when learning a musical instrument. The app gives you real-time feedback on your performance, and includes many features to make it easier and more fun to play your instrument. Learn more about Songs2See with our tutorials!